I would have loved to have posted this earlier – however, when it rains as hard as it did here today, the satellite internet connection no work-y. Very frustrating. 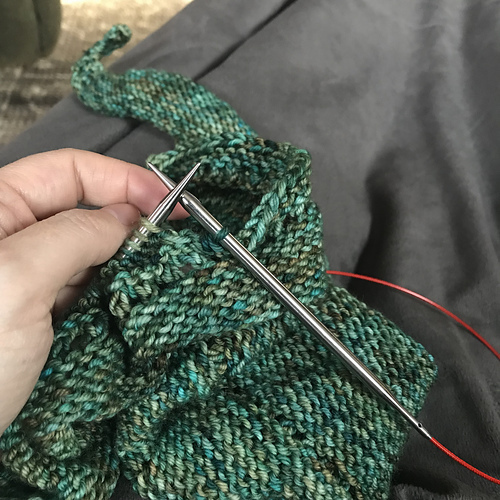 I’m most of the way through the 3rd repeat (of 5) of chart 3 (of 4) of Ene’s Scarf – almost there!